When hemorrhoid symptoms don’t get better with home treatment or a recurring hemorrhoid just won’t seem to go away for good, medical intervention might offer the only relief. For those irritable hemorrhoids, infrared coagulation (IRC) treatment offers fast, nonsurgical hemorrhoid relief without the extensive recovery time of surgery. 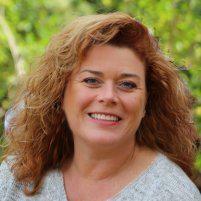 At Midwest Hemorrhoid Treatment Center in Creve Coeur, Missouri, Betsy Clemens, MD, has years of experience performing IRC procedures. To learn more about IRC, call or message us to schedule your consultation. What is infrared coagulation treatment? Infrared coagulation (IRC) is a type of hemorrhoid treatment that uses infrared light to shrink hemorrhoids down to their normal, non-symptomatic sizes. Infrared coagulation treatment is most effective for internal hemorrhoids, including bleeding hemorrhoids as well as hemorrhoids that have prolapsed but, has also been effective on certain external hemorrhoids. How does infrared coagulation treatment work? Infrared coagulation is one of the preferred methods for treatment of internal hemorrhoids thanks to its minimally invasive nature, the quick return on positive results, and overall safety of the procedure. The infrared energy applied to the hemorrhoids causes the blood vessels contract and clot, stopping the blood supply to the hemorrhoid. Without this supply of blood, your hemorrhoid begins to shrink or wither. For best, longest lasting results, IRC treatment usually requires multiple procedures. Upon evaluation, Dr. Clemens will be able to tell you the number of procedures that is best for you. What can I expect during infrared coagulation treatment? IRC is an out patient procedure that doesn't require any pre-treatment preparation, such as temporary diet changes or incovenient cleanses. You can eat and drink as normal before and after your procedure. The minimally invasive IRC procedure doesn't require the use of anesthesia either. That means you are free to drive yourself to and from your appointments. IRC is fast. Though the length of your visits with Dr. Clemens will vary, the IRC procedures themselves only last an average of 45 seconds to 1 minute. After that, you will be free to go about your daily activities as normal; there are no post procedure restrictions. When will I experience results? Many patients experience complete relief from their hemorrhoid within 7-10 days of treatment. There is no permanent treatment or cure for hemorrhoids. Hemorrhoid symptoms can return even after surgery. So, while IRC is an effective method of treatment, its success on current symptoms does not mean you will never have symptoms again in your life. During your course of care, Dr. Clemens will guide you through simple lifestyle changes that will greatly reduce the chances of hemorrhoid symptoms returning in the future. If you’re suffering the effects of an uncomfortable hemorrhoid that won’t go away, IRC treatment might offer the solution you need. 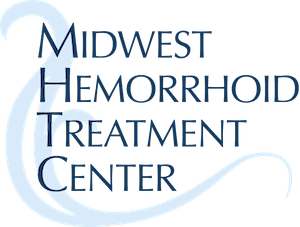 To learn whether IRC is right for you, call Dr. Clemens and her staff at Midwest Hemorrhoid Treatment Center to schedule your consultation or send us a message.